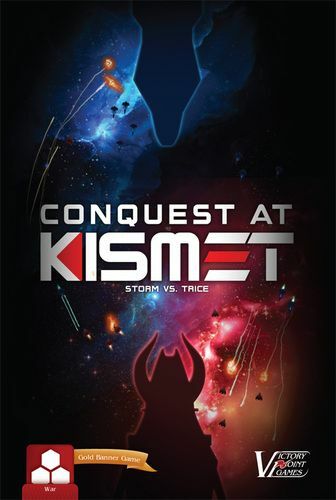 In the Kismet Sector of the Raccroc Galaxy, huge self-sustaining motherships fight over control of the sector's vast natural resources. But you have to get past other races in order to obtain it. Hailed by its alpha testers as the Magic: The Gathering of sci-fi, this game breaks traditional card game mechanics and rearranges them into something that feels new and fresh! 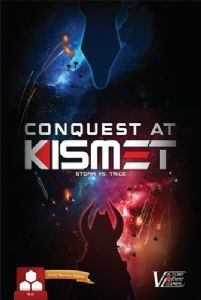 In Conquest at Kismet, you play as one of two races vying for control of the Kismet sector in the Raccroc Galaxy. This simple game uses a lottery-like method of resolving battle, something that's never been used in a card game before. This allows for a very small table footprint while having a healthy mix of tactics and luck.